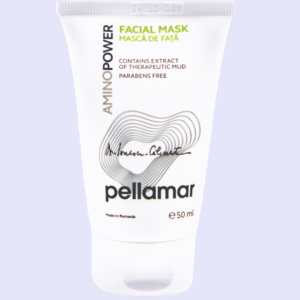 This mineralized and delicate formula works to remove and clean dirt from deep from the skin. It preserves the hydric balance of the epidermis using the main emollients to restore the skins moisture and natural lipids preservation. The formula has been designed to be safely used when in contact with the sensitive skin around the eye area. 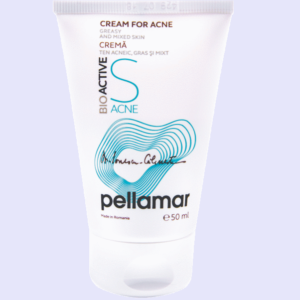 PELL AMAR EXTRACT – natural source of energy for the skin – rich content of mineral salts playing a role in restoring intracellular potassium ion concentration and extracellular calcium ions, with lasting effect on skin hydration. SURFACE AGENTS – specially made to eliminate impurities of any kind, both of the hydrosoluble and the lipid soluble, without leaving the skin oily. Apply to the face, neck and eye area in the morning and evening and carefully massage into the skin. AQUA, CAPRYLIC / CAPRIC TRIGLYCERIDE, CETEARYL ISONONANOATE, GLYCERYL STEARATE, PEG 100-STEARATE, GLYCEROL, MINERAL SALTS AND AMINO ACIDS FROM PELLOID MUD EXTRACT (PELL AMAR), CETEARYL ALCOHOL, CARBOMER, EDTA, ETHYLHEXYLGLYCERINE / PHENOXYETHANOL.